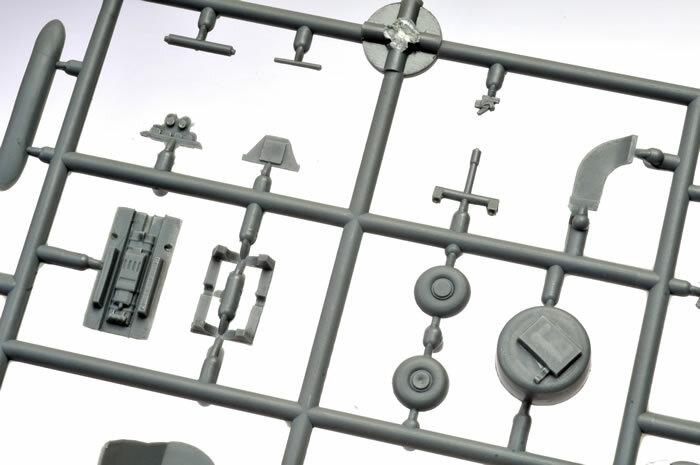 22 parts in grey plastic; one parts in clear; markings for three (hypothetical) subjects. High quality mouldings; very fine and crisp recessed panel lines; may be finished in ground handling, in-flight or landing configuration. Limited run nature means a bit more time and care will be required to align parts. 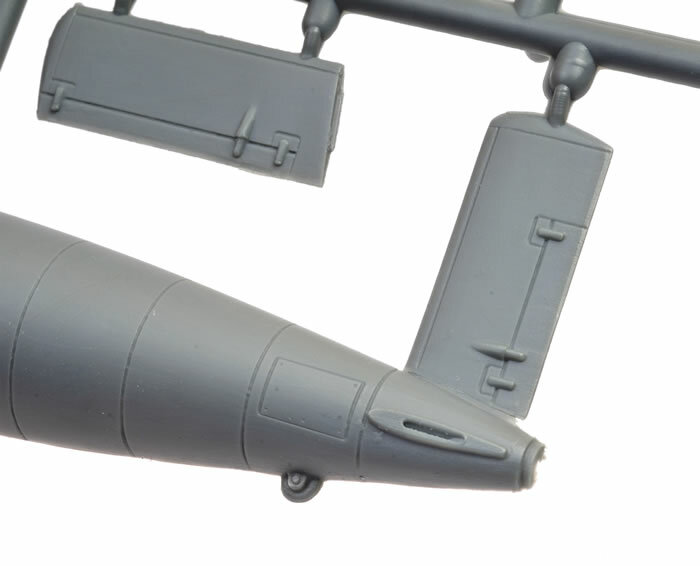 Brengun's 1/48 scale Messerschmitt P.1103 is a really nice little kit. You can let your imagination run wild with the possibilities for camouflage and markings too! 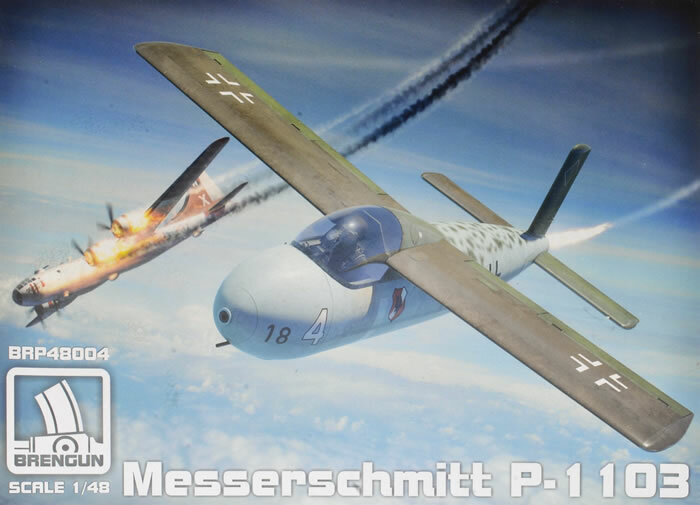 The Messerschmitt Me P.1103 was designed in 1944 (along with the FW "Volksjäger", Ju EF 126 &127 and the Bacham Ba 349 "Natter") to be a rocket-powered short-range interceptor. Construction was kept simple on the Me P.1103, being mainly built of wood. The wings were shoulder mounted and faired into the rear of the canopy. The Me P.1103 was to be towed into the air by either a Bf 109 G or Me 262, where it would then ignite its single Walter liquid-fueled RI 202 rocket engine. The pilot flew in a seated position and armament consisted of a single MK 108 30mm cannon, mounted below the pilot. After the attack, the Me P.1103 was landed on a retractable skid. All design work ceased when the Ba 349 was awarded a development contract. Historical background and specifications sourced from the Luft '46 website. 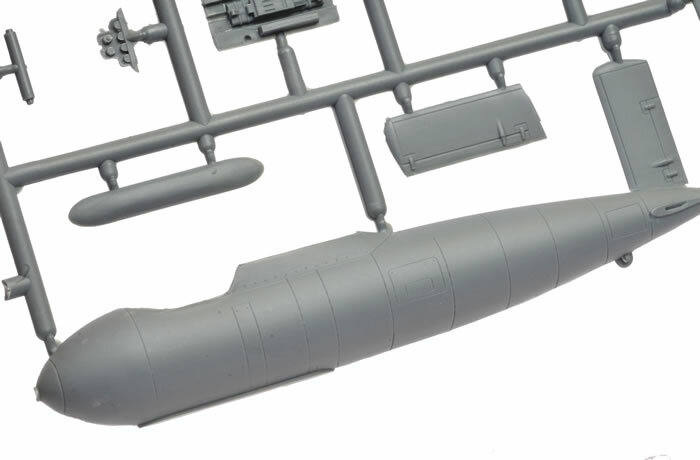 Brengun has released a number of V-1 and Ohka-based rockets and aircraft in recent times, but I believe this is their first "Luftwaffe '46" paper project. The box is end-opening with very attractive artwork. 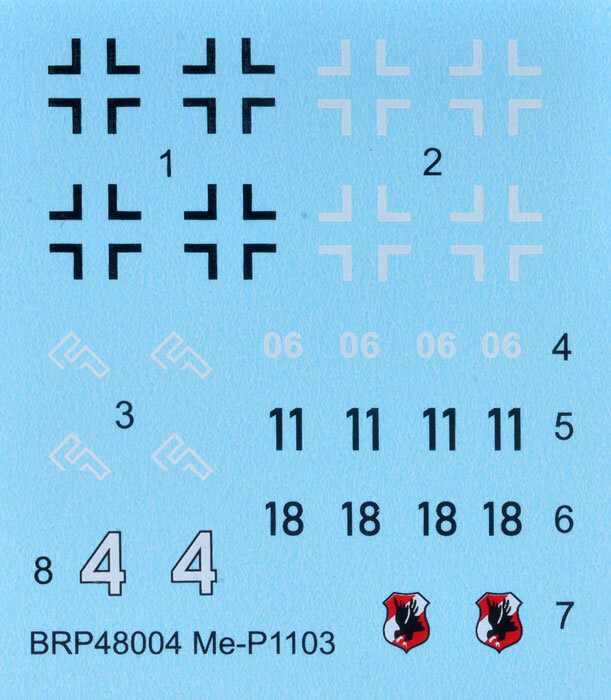 Brengun's 1/48 scale Messerschmitt P.1103 comprises just 22 parts in medium grey coloured plastic, one part in clear injection moulded plastic and a decal sheet with three marking options. 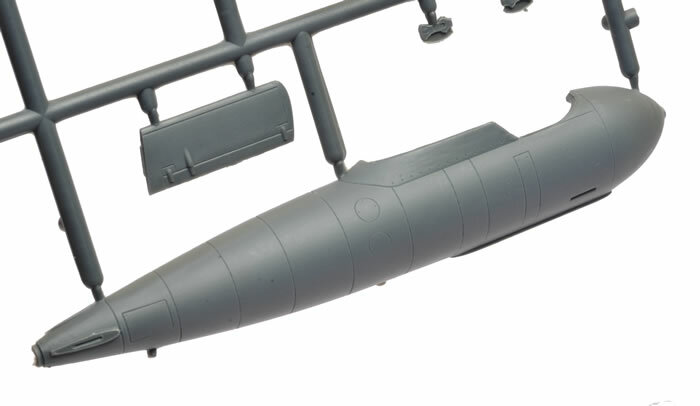 This is quite a small model, with a wingspan a little over 10cm and fuselage length just over 11cm. Moulding quality is very good, with a smooth matt finish on the exterior surfaces of parts and relatively thin sprue attachment points. Surface textures are really well done - crisp, fine and consistent recessed panel lines and raised details where appropriate. This is still a limited run kit though, so you won't find little luxuries like locating pins. 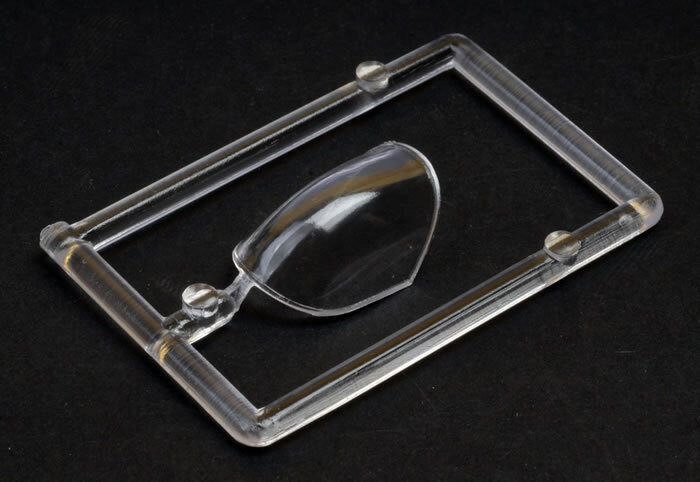 You'll need to take a little more time and care when aligning and gluing parts. The cockpit is adequately fitted out with a seat, control column, a tiny instrument panel and gunsight, rudder pedals, MK 103 cannon breech, barrel, drum feed and ejection chute. All this is complimented by raised structural ribs moulded to the inside of each fuselage half. Parts breakdown could not be much simpler. The fuselage is presented in two halves with the fin and rudder being moulded to one half. 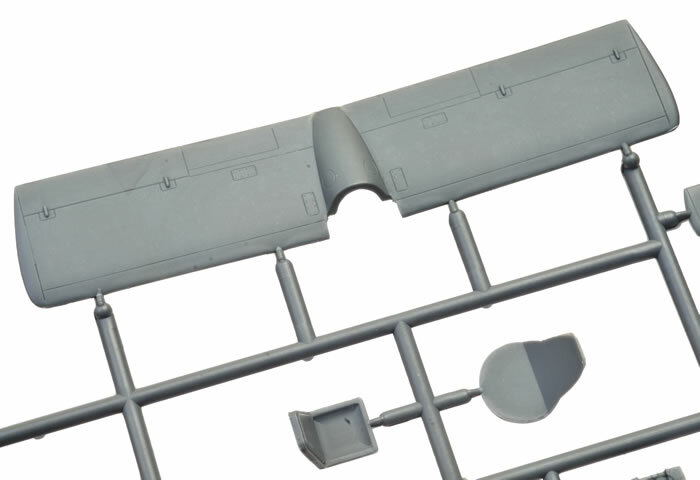 The wing is supplied in one piece, which will be attached to the upper fuselage in a saddle arrangement. Horizontal tailplanes are presented as one part each. I'll probably drill out the mating surfaces and reinforce the joins here with fine metal rod. 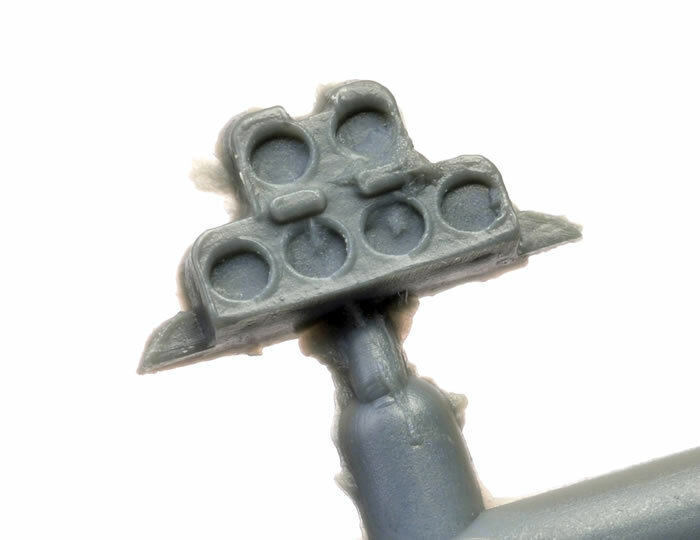 All control surfaces are moulded in neutral positions. The landing skid is supplied as a separate part that may be fitted in landing or in-flight settings. A ground handling trolley is also provided as an option. The canopy part is quite thin and clear. Markings are supplied for three "what-if" subjects although you are certainly not limited to these alone. Me? 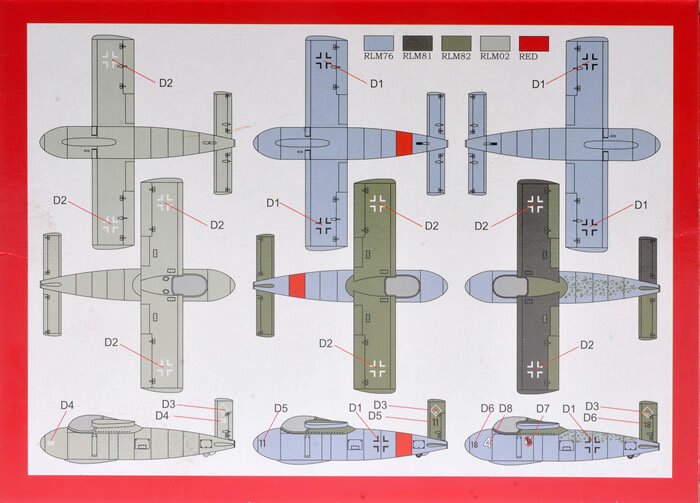 I'll be digging out some 1/48 scale He 162 decal sheets to come up with my own camouflage and marking scheme. The decals are glossy, well printed and in register.